hd00:33A slow motion shot of the abandoned West Pier in Brighton, England, UK. The pier opened in 1866 and closed in 1975 but has become increasingly derelict since closure. 4k00:39A wide angle view of the West Pier and the coast of Brighton, England, UK. 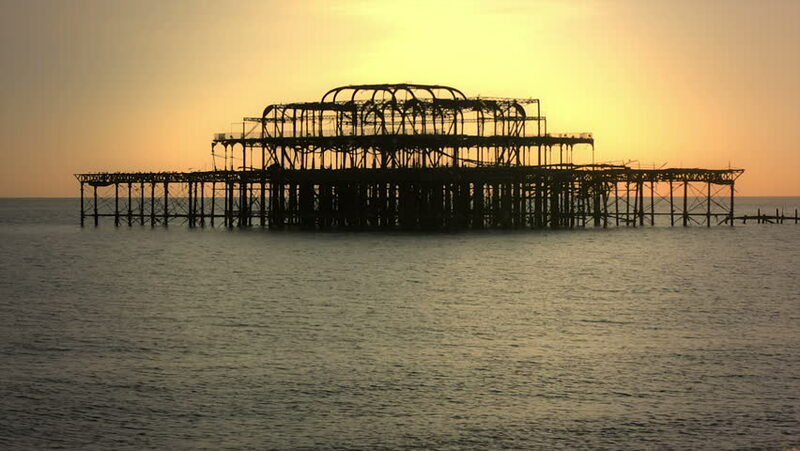 The pier opened in 1866 and closed in 1975 but has become increasingly derelict since closure.